AVON — The age to purchase tobacco products in town will likely rise to 21 in 2019 after the Town Council approved the idea on Tuesday, Aug. 14. The first reading of an ordinance to change the town’s municipal code received unanimous approval from the six town council members present at its regular meeting this week. Council member Matt Gennett was absent. The ordinance will also establish a licensing system for tobacco retailers which would give the town more authority in enforcing the new age law. When a town chooses to license tobacco retailers, that town then forgoes revenues from the state on tobacco sales and also must create a licensing administrator position at the town. In Avon, the licensing administrator is likely to be the town clerk, and the proposed $500 per year licensing fee is expected to cover the cost of administering the licensing program. The state revenues, however, will not be restored to the town’s budget without the creation of an additional tax on cigarettes. Over the past five years, the distribution of state income tax money to Avon from tobacco sales ranged from $41,234 to $43,200. Nevertheless, council members will still ask voters in November if they desire recoup that loss in revenue through the creation of an additional tax on cigarettes. The details of that ballot question will be presented at the next council meeting, Tuesday, Aug. 28. Members of the community spoke out mostly in favor of the idea to raise the tobacco age as a response to the recent uptick in use of e-cigarettes among youth in the community. 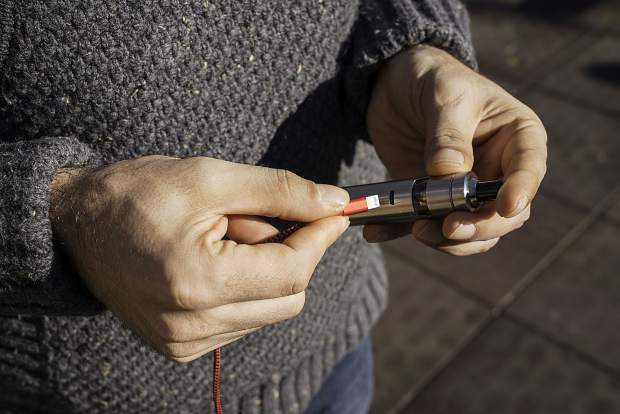 Local student David Reilly said in recent years, the use of electronic nicotine vaporizing products has exploded at Battle Mountain High School, where Reilly is a senior. Reilly said for older students, buying and selling e-cigs is a profitable endeavor. “There’s tons of 18-year-old seniors in my high school, and these seniors … you either get a job or you’re going to go buy these products for your friends and make a bunch of money,” Reilly said. Reilly was asked by the council if kids were still going to get the products from the internet, and if raising prices would deter kids from purchasing the nicotine-enhanced liquid used in their vaporizers. Councilman Jake Wolf was the most hesitant to vote in favor of the ordinance, questioning whether or not it would actually help. In response, Mandy Ivanov with Eagle County Public Health said the government’s job is to protect the health, safety and welfare of its community members. David Reilly’s mother, who also spoke at the meeting, said parents could indeed use some help from the government.